Anyone who knows me well knows I can’t get far into the day without a good coffee. I have become totally addicted to the Antipodean flat whites served at Butter Beans in Richmond. Since they were voted best coffee in West London by Time Out in 2010 (when called Taylor St Baristas), I’ve been a regular. 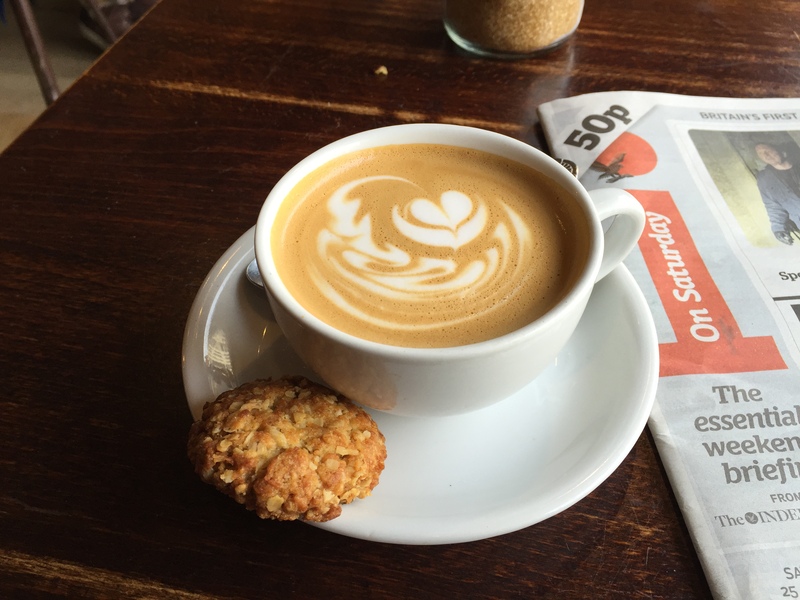 Other artisan coffee shops have flooded London since; there is good coffee to be had everywhere if you know where to go. But none have bettered Butter Beans. It’s still my favourite. My absolute favourite croissants (anywhere in London, let alone just Richmond & Twickenham) are to be found at Your Bakery in Whitton. They are just so fantastically buttery and flaky. They are wonderful. I only discovered Your Bakery when Jonathan and Lyndsey moved to Whitton (part of Twickenham) 18 months ago. Their coffee is good too so a great place for a morning treat. Their other pastries are fabulous too; they sell the best little quiches I know and amazing cakes. If you haven’t been there – go! 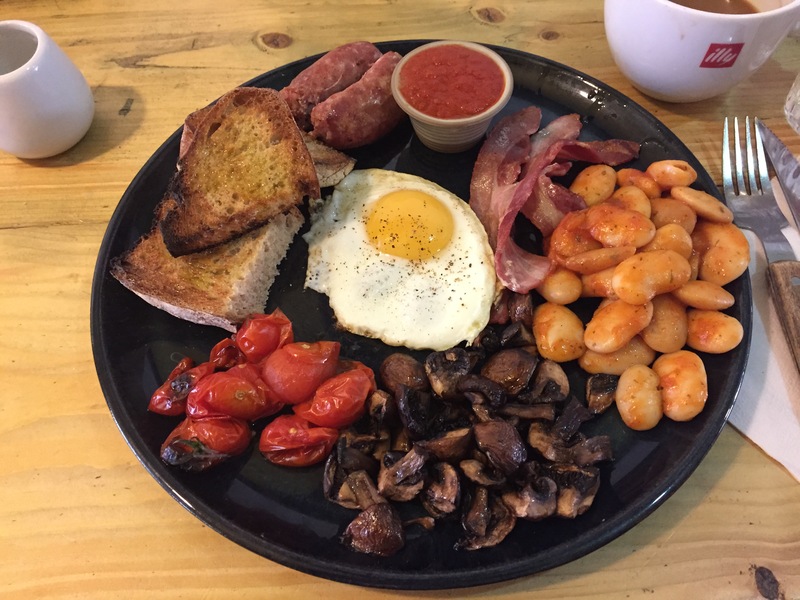 I’m not a great fan of cooked breakfasts but my son is, so when Lyndsey’s mother was visiting from Wales in August, I suggested we all went for breakfast at Ruben’s Bakehouse one morning. 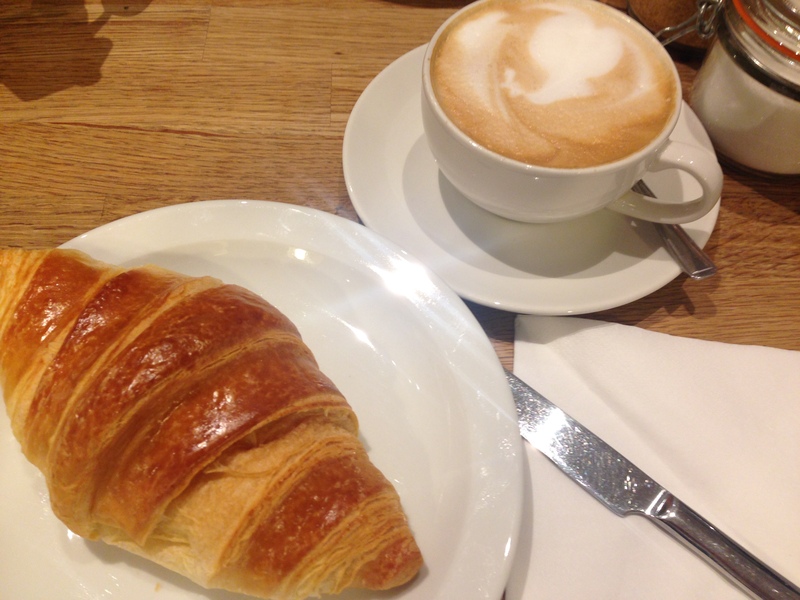 Igor had recently introduced a colazione menu – Italian breakfast. The photo above shows the excellent Full Italian that Jonathan had. Even I had to eat something cooked – scrambled eggs with ricotta cheese and cherry tomatoes on the vine roasted in the wood-fired oven. Much like coffee, I have a strong addiction to bread. Good bread. More specifically, Ruben’s Bakehouse sourdough bread. It has just the most fabulous texture and flavour. 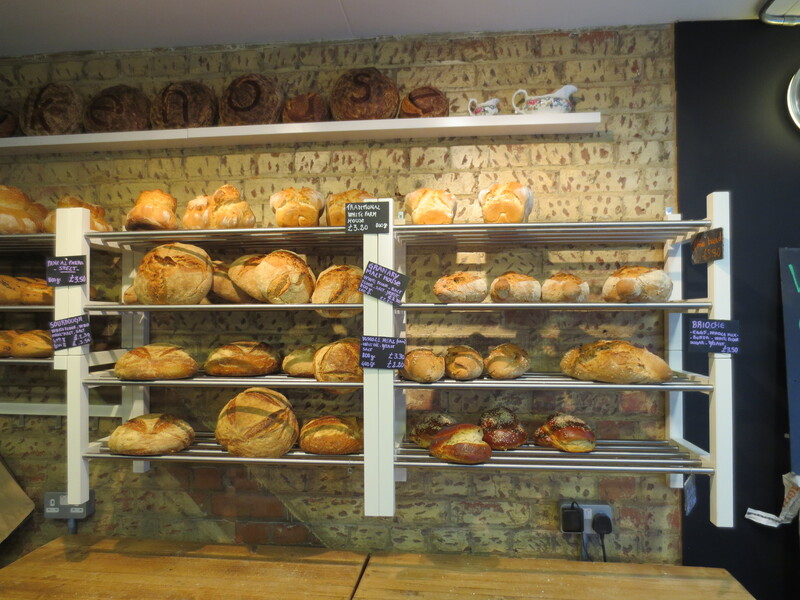 This artisan bakery has become a firm Twickenham favourite. They bake a variety of breads but I always come back to the sourdough. I like it fresh dipped in extra virgin olive oil, toasted when a day or two old and drizzled with oil. I like it sitting on the bottom of a ribolitta (vegetable soup) or Livorno style cod. In fact, I love it any which way! Not only has Corto become my favourite place for lunch, it’s now the family’s and various friends I’ve introduced it to. 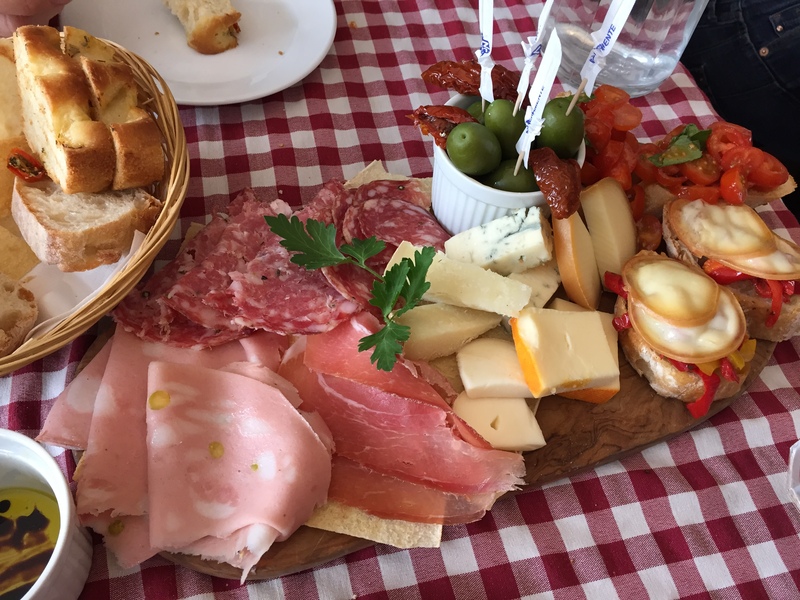 And our favourite thing to have is their platter of antipasti which comes with wonderful breads, bruschette, cheeses and freshly sliced cold meats. Their meats are so wonderful, it’s the only place I go to buy prosciutto and salami now. I particularly love the salame with fennel. It’s a great Italian deli with top quality goods. Romina and Marco also make wonderful hot dishes – a small selection of perhaps Melanzane Parmigiana and a pasta dish each day. And their homemade cakes are fabulous too. And here we are at Ruben’s again – the Refettorio which is part of the Bakehouse and where you will find my favourite pizza in London (not just Twickenham!). What I particularly like is the wonderful sourdough base which gives it such a fabulous flavour, but the toppings are always of the best quality too. 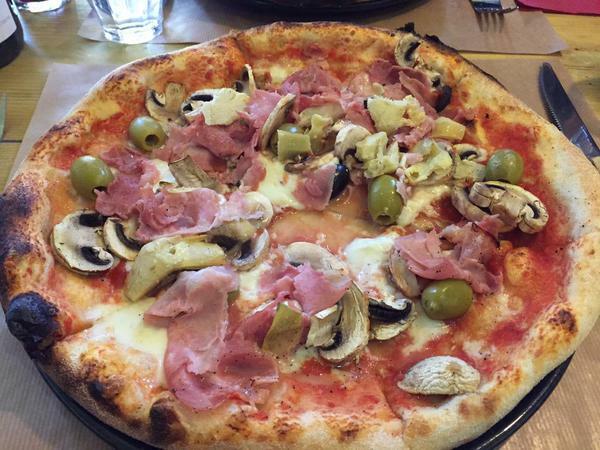 I love to watch pizzaiolo Daniele in action, stretching the dough into shape as he twirls it expertly about and then adding the toppings and lifting it into the wood-fired oven. We have a lot of wonderful Italian restaurants and cafes in Twickenham but for pasta I love to go to Masaniello‘s. 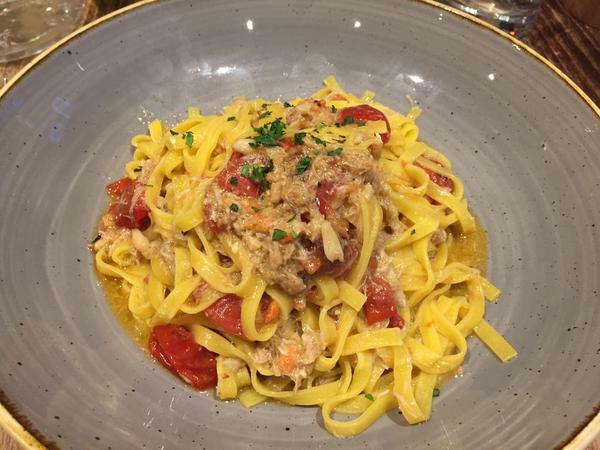 I particularly like their fish pasta dishes – like the crab one above. It’s a great trattoria-style restaurant in Twickenham’s Church Street and when it comes to dessert, you might be lucky enough to find that head chef Livio – who comes from Naples – has been making baba that day. For a special occasion my family loves to go to A Cena for Sunday lunch. It’s one of our favourite restaurants for any time but their Sunday lunch is particularly special and excellent value (£25 for 3 courses). Here is Italian cooking again (we have a lot of Italian places in Richmond and Twickenham – I’ve even written about it: Twickenham’s Little Italy) and of the highest quality. But of course it’s not all Italian in Richmond and Twickenham and there’s an excellent Indian restaurant: Tangawizi. This has been a long-standing family favourite, both to visit and get takeaways from. (It’s the only place I ever get takeaway from!) 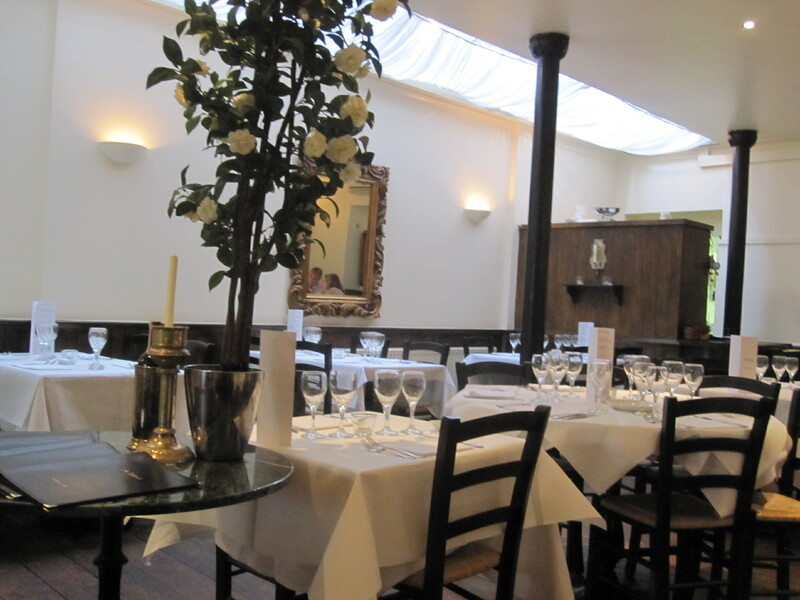 The food is fabulous and the interior has a nice welcoming exotic feel to it so it’s a great place to spend an evening and occasionally at weekends there is live Indian music. Just as there’s been a coffee revolution in London in recent years, there’s been an ice cream one too and now there’s fabulous ice cream to be found in lots of places. 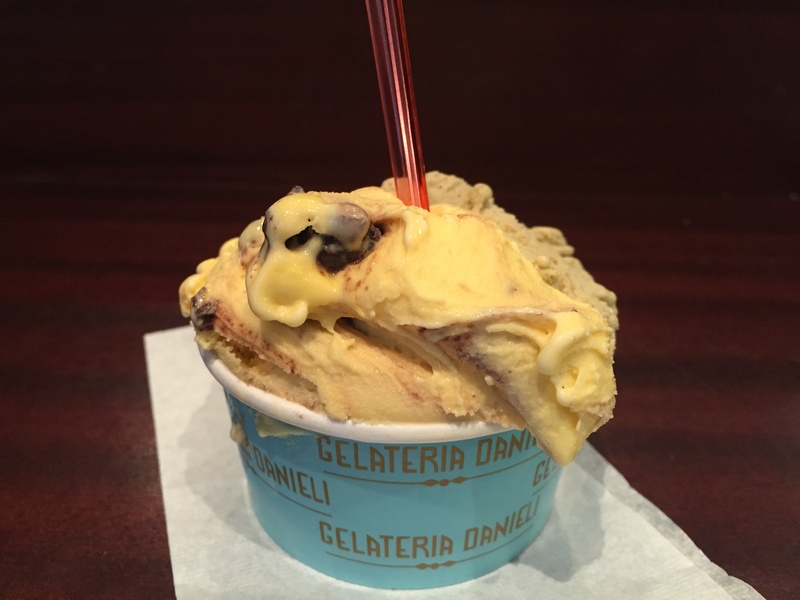 I’m lucky to have one of the very best gelaterias around in Richmond – Gelateria Daniele. 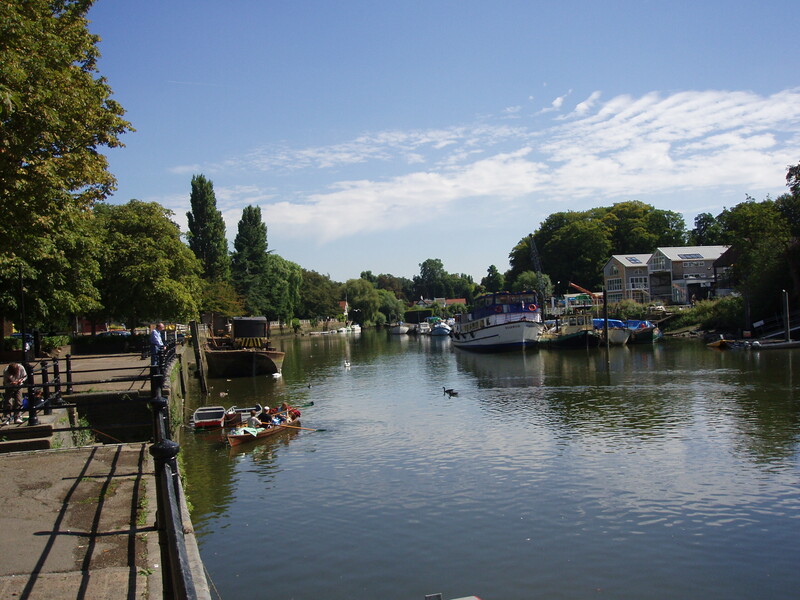 Situated in a narrow alleyway that runs from the high street to Richmond Green, it’s wonderful in the summer to get a tub of their delicious ice cream and then go and sit looking over the pretty green. 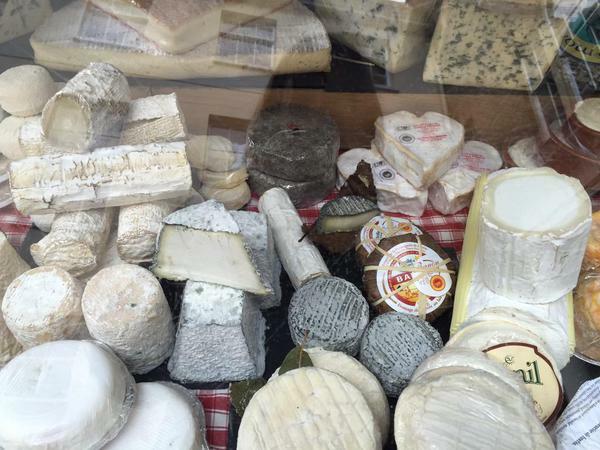 Other good places to shop are the Twickenham Farmers’ Market on Saturday mornings and Duck Pond Market in Richmond on Sunday mornings where a fabulous French cheese stall can be found. We also have an excellent fishmonger in Twickenham high street: Sandys. So as I you can see, Richmond & Twickenham in SW London is a great place to live if you like good food – especially Italian food! You can now download this article and more on places to eat in London on to your phone or tablet with GPSmyCity – great for when you’re on the go – click here for link. Several places on my doorstep I’ve never even tried. Thanks for the tipoff, Kay. Thanks, Christine. Hope you like them as much as I do! Ahh thank you for the bakery tip in Whitton – my french husband has been pining for good patisserie so I am going to go exploring soon!! 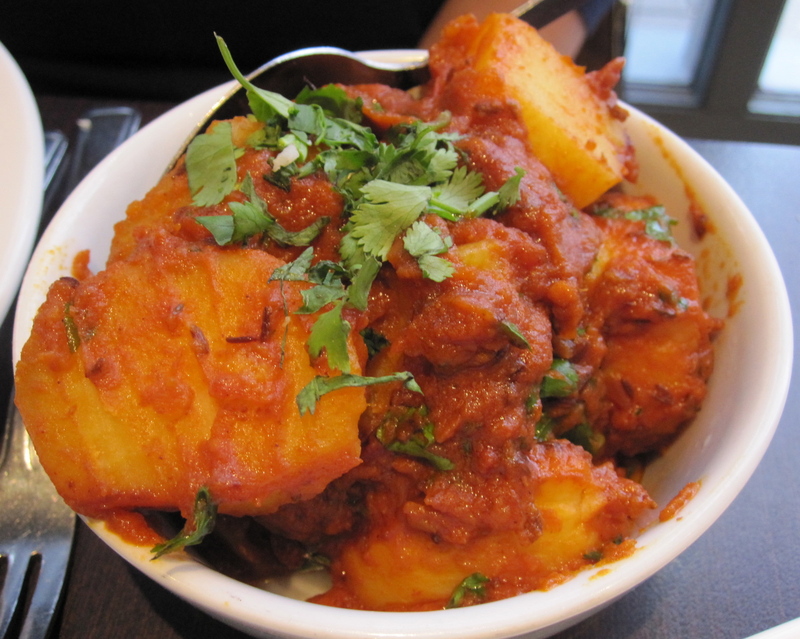 However, I must say that there are much better indian restaurants than Tangawizi in the area: Atithi is fabulous and we also love the southern indian Kerala Melon. Thanks Kate. I do like Tangawizi a lot and think it’s better than average Indian but will also have to try your other recommendations.